The focus of Kuruman Branch begins where every customer has a named sales engineer, providing two-way dialogue and feedback. On larger sites, we offer a dedicated on-site presence, ensuring easier communication and better partnerships. "We aim to deliver a customer experience that surpasses expectation, and truly re-defines what the world expects from their mechanical seal partner." The dynamic team at AESSEAL (Pty) Ltd is responsible for stockholding, including provision of after sales service and sales of associated products. The application of Belzona epoxy polymeric corrosion, erosion and abrasion systems for rebuild, repair and protection of all types of industrial equipment. 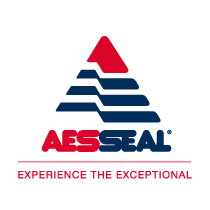 I joined AESSEAL (Pty) Ltd in September 2014 and have since become an integral part of a dynamic sales team supporting all aspects of our business including sales, repairs and site work.